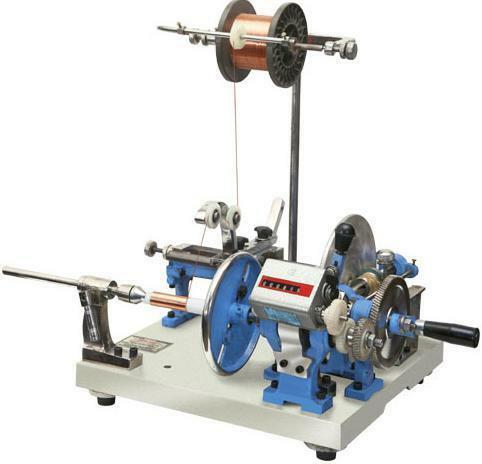 The machines are used for winding transformer coils. At our production unit, we use best quality materials, sourced from the most reliable vendors to manufacture the machine. The machine parts are coated with anti corrosive materials for protection against rust. The company is engaged in manufacturing, distributing and trading of electronic voltage stabilizer, servo stabilizer, CVT (Constant Voltage Transformer), Isolation Transformer, Toroidal inductors and transformers, Transformers for domestic and industrial use, Inverters , Home UPS, Fans, Mixture Grinder and other household electical and electronic appliances and equipments in the brand name of AE-GUARD. Our organization has been endowed with most advanced technology and distinct infrastructure set ups. Our staff people enjoy the finest working ambivalence led by an efficient management. Our company has been known for its Quality, Reliability, Affordability, Punctuality and Ability to deliver any demand. The company has following range of products. We are among the eminent player in the market engaged in trading CFL Bulbs, GLS Lamps, Ceiling Fans, Table Fans, AP Fans, Exhaust Fans,Moving Padastal Fans, Wall Fans, Voltage Stabilizer, Inverters, UPS, Paper Cups & Plate Machines, Electric Motor Winding Machine and Other Electrical Goods. Our organization has been endowed with most advanced and distinct infrastructure set ups. Our staff people enjoy the finest working ambivalence led by an efficient management. Our company has been known for its punctuality and ability to deliver any demand. apart from our burly anatomy, our company is very easy to access as we are just a call away.